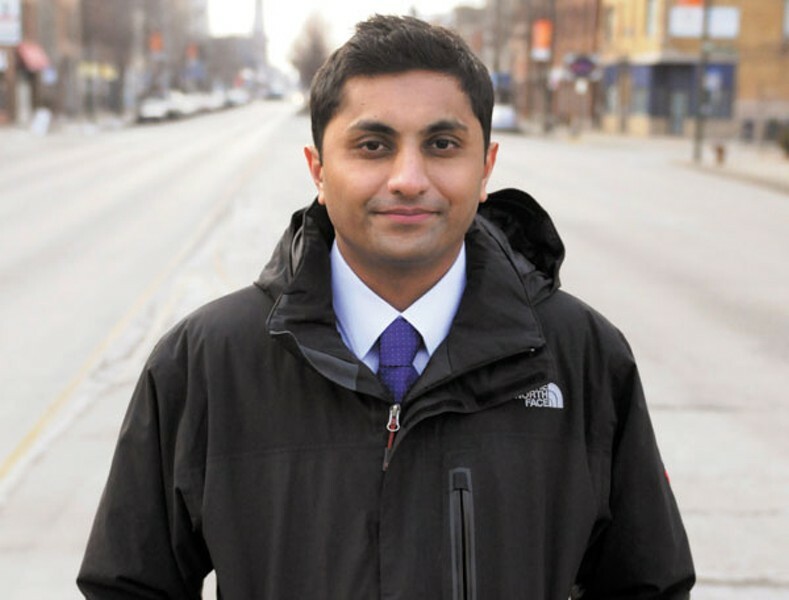 Scott Stewart/Sun-Times Media Forty-seventh Ward alderman Ameya Pawar says he's still working to change City Hall—he's just pragmatic about it. On January 2, I braved the howling winds and trekked through mounds of snow to Alderman Ameya Pawar's north-side office. The weather conditions were only fitting. After months of cold war, the alderman and I were having an official rapprochement. And who thought it would ever come to this? In his first run for office in 2011, I was one of Pawar's most enthusiastic backers. He was bright, articulate, and charming on the campaign trail. He gave concise, insightful analyses of the parking meter sale, charter school expansion, and the tax increment financing program. "Blow up the TIFs!" he declared. It was music to my ears. I fell head over heels in love with his candidacy, as though it were a movie by the Coen brothers. By the way, Inside Llewyn Davis is even better than The Big Lebowski! Alas, it only took Pawar about six months to disappoint me. That fall he sent out a press release hailing Mayor Emanuel's cruel first budget—the one that allegedly balanced the books by closing six mental health clinics in poor, high-crime areas. That wasn't the only low point. Last November he didn't merely vote against the Progressive Caucus proposal to force the mayor to hand back millions in TIF dollars to our dead-broke schools—he also likened council independents like Alderman Scott Waguespack to the Tea Party for even raising the subject. At which point I started getting calls from aggrieved progressives, telling me they were through with that mother-so-and-so. I chided him for the Tea Party remark. To his credit, he didn't hurl F-bombs at me—at least not when I was listening. Instead, he asked if we could meet. And so I found myself sitting in his office. In person, he appeared to be the same Pawar I remembered—likable, smart, and eager to debate the issues. He insisted that it wasn't his fault I was so disappointed in his performance, because "you're never going to be as good as anybody says you are." He assured me that he still thinks the mayor's relentless drive toward privatization—charter schools included—jeopardizes the city's future. Moreover, he still thinks we should blow up the TIF program! So why didn't he join Waguespack and the other progressives in the good fight? He said he was just being pragmatic. "I want to be a legislator—I want to pass things, instead of just criticizing." If you want to get something done in Chicago, you have to work with Mayor Emanuel, whether you like him or not, he argued. "I don't look at the mayor as a villain. You have to respect people." And how did the Tea Party line respect people? Long pause. Then: "OK, if I had to do it over again, I wouldn't have said 'Tea Party.'" Pawar went on to explain how most outsiders—such as people who write for the Reader—have no idea just how hard it is to pass something in this council. He cited the long battle behind one of his proudest legislative accomplishments—the recent creation of the City Council Office of Financial Analysis. In 2012 he and a few of his colleagues revived the old idea of setting up such an office to analyze deals like the parking meter sell-off as well as annual budget proposals. 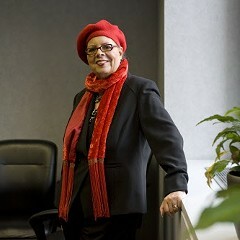 The office would be accountable to the City Council and independent of the mayor. The idea was that aldermen would be adequately informed before they voted on auctioning off pieces of the city. Or, put another way, they'd have one less excuse for rubber-stamping the mayor's wackier schemes—even if they went ahead and rubber-stamped them anyway. 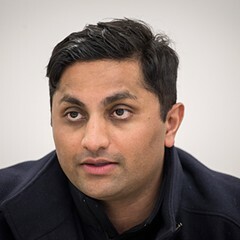 Pawar did his due diligence, alerting the mayor's people and extracting a promise from Alderman Carrie Austin, the budget committee chairman, to give it a hearing. 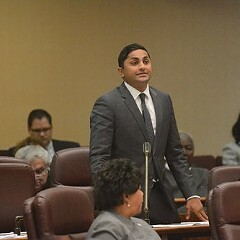 But when he introduced the proposal, in December 2012, Alderman Patrick O'Connor—the mayor's council floor leader—immediately proposed that it be sent to the aviation committee. Yes, it's absurd that O'Connor would direct a proposal that has nothing to do with airplanes or airports to the aviation committee. 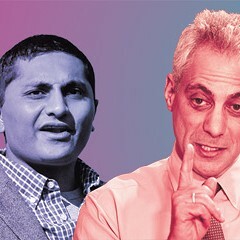 "I don't look at the mayor as a villain," says Alderman Ameya Pawar. "You have to respect people." But under council rules, if there's a conflict in committee assignment—in this case, Pawar wanted his proposal sent to the budget committee, while O'Connor called for it to go to aviation—it automatically gets sent to the rules committee. And in case you've forgotten, that's the committee where the mayor and his allies send stuff they never want to hear from again. So Pawar found himself on the phone with a certain mayoral aide who, as near as I can tell, has the job of dealing with liberals and other good-government types. As opposed to the mayoral aides who deal with hedge-fund guys. Oh, wait—that's Mayor Emanuel's job. In any event, Pawar says the aide suggested that he look around and see what other cities are doing. Which I assume was the aide's way of keeping Pawar busy in the hopes that he would just go away. But Pawar was persistent. A few months later he was able to report that, guess what? There are independent legislative offices all over the place, including Pittsburgh. Let's pause to appreciate the irony: the City Council has to beg the mayor for permission to create an independent office that will analyze the schemes he wants them to approve. Pawar says the mayor's office warmed to the idea—once they heard it was such a huge hit in Pittsburgh. But they demanded that he take a sacred oath of silence, not telling anyone—especially Reader writers—about these delicate negotiations. True to his word, Pawar didn't tell a soul. 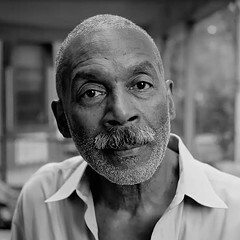 Until July, when he got a call from Fran Spielman of the Sun-Times asking him for comment about the mayor's proposal to create the independent financial analysis office. In other words, while the mayor was making Pawar take an oath of utter secrecy, the mayor's people were on the horn to the Bright One, taking all the credit for Pawar's idea. That's some mayor you elected, Chicago. It took another six months to iron out the details. And in December, the council unanimously created the new office, with a budget of $485,000. Anyway, after my long talk with Alderman Pawar I've decided to go a little easier on him, even if I wish his approach were more like Waguespack's. At the very least I'm going to try to remember how difficult it can be to deal with the ruthless, conniving, shameless wheeler-dealers who run this city. So mazel tov, Ameya, on that oversight office—it can do a lot of good, if the analysts don't roll over. For their first assignment, I recommend they delve into the TIF-funded boondoggle the mayor's got going in the South Loop. That's where he's taking at least $92 million from the schools and parks and basically giving it to DePaul and Marriott to build, respectively, a basketball arena and a hotel. I'll be waiting for the report.